We appreciate that there is not always a factory or off the shelf scooter that meets your needs. We also appreciate that choosing colours and being able to fully customise your ride to be as unique as possible is very important! Because of this we are able to custom build scooters in store 100% to your requirements, not what the manufacturers feel you should be riding straight out of a box. Our dedicated team of in store specialists know the ins and outs of all of our products and can assemble scooters to the highest precision. For more information and prices on a custom build please call us or email us using the contact us page in the top right. We can build from any parts you find on this website. If there is a specific item you already own but we do not supply let us know and we can centre a unique scooter around this. With custom scooters there is no limitations > Let the building begin! 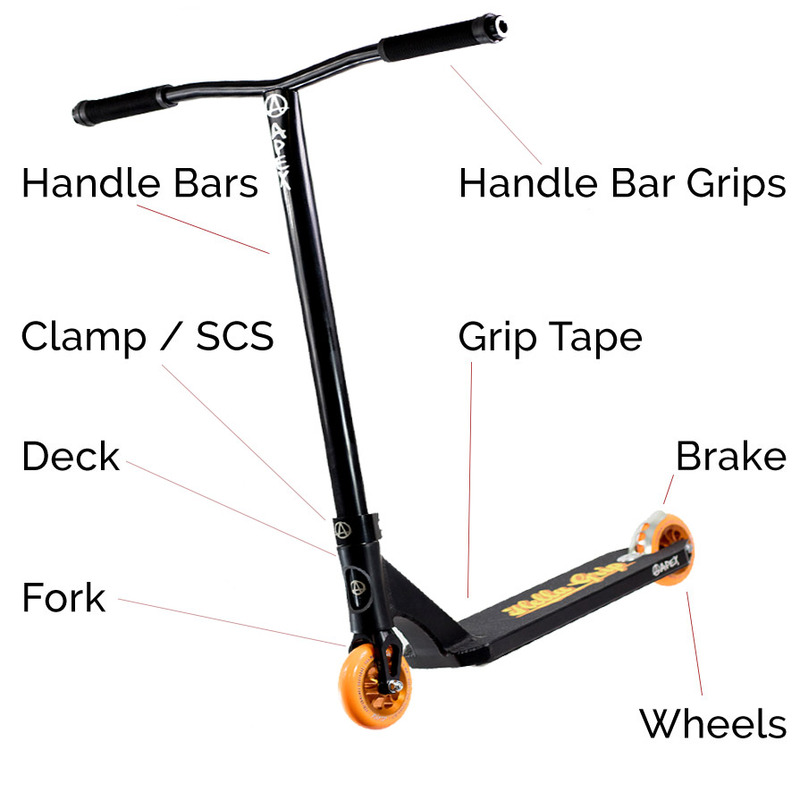 When choosing your custom scooter you should consider the following parts, please note that depending on your custom scooter not all parts below will be required.